Hyderabad: TPCC president N. Uttam Kumar Reddy on Monday said that after the Congress came to power at the Centre in the 2019 Lok Sabha elections, petrol and diesel would be brought under the purview of GST. It is expected that bringing fuel under the new tax regime would lower their prices. Speaking to mediapersons on Monday at Gandhi Bhavan along with TS Congress incharge R.C. Khuntia, senior leaders K Jana Reddy, Shabbir Ali and others, the TPCC chief asked why had Prime Minister Narendra Modi not brought petrol and diesel under GST when he had propagated the ‘one nation one tax’ slogan. 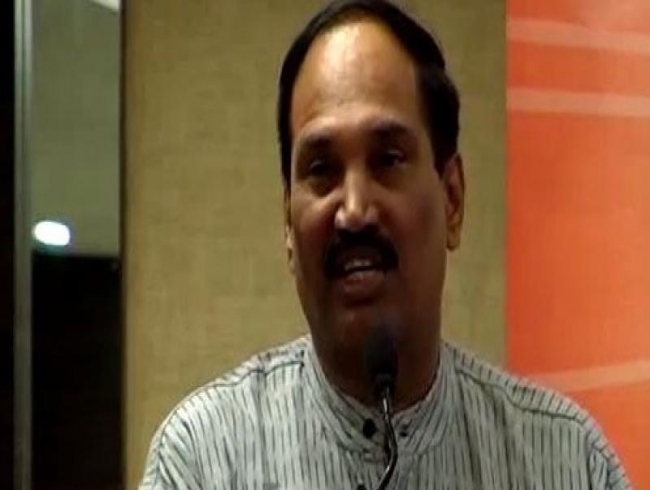 Mr Uttam Kumar Reddy alleged that the Centre and the state government was increasing taxes indiscriminately. He said that in Telangana state, the government was collecting 35 per cent tax on petrol and 25 per cent tax on diesel. This was more than the percentage collected in 25 states. He observed that Mr Modi and Chief Minister K. Chandrasekhar Rao were competing with each other in increasing taxes. The TPCC chief condemned the arrest of Congress leaders and workers across the state. He claimed the Bharat Bandh in the state was a success and the people had observed it voluntarily. Mr Khuntia said that after the BJP came to power at the Centre it had increased excise duty 12 times on petroleum products. He asked the Centre why were the prices of petrol and diesel increasing when crude oil prices were decreasing in the international market. Mr Jana Reddy and Mr Shabbir Ali alleged that the state and Central governments did not care for the problems of the people. Mr Shabbir Ali questioned why Telangana state, being the richest in the country, was collecting taxes on fuel. On other issues, Mr Uttam Kumar Reddy wondered what was wrong if former minister Danam Nagendar, who had joined the TRS recently, met him. He said AICC leader Ghulam Nabi Azad would be coming to Hyderabad on September 12 and some leaders would join the Congress on that day. He said Mr Azad would participate in a minorities conference at Sangareddy.